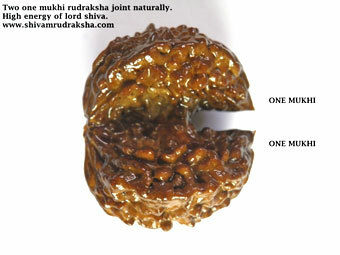 Two One Mukhi Rudraksha Joint Naturally. It is regarded as the Unified form of Siva & Parvathi. It expands the Universe of Conscious. Naturally two rudraksha joint together is called Gauri-Shankar. 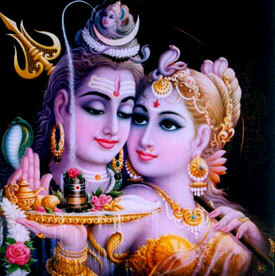 It is symbol of Shiva and Shakti. It helps to fulfill all the desires. It should be kept in house, worshiping room or in safe for financial benefits. It can be Wear on neck or on the top of five-face mala. It should be worn after touchingit to Shiva linga.